The invigorating properties of birch oil reveal skin that appears smoother, suppler, and toned. Cellulite develops naturally as skin’s natural detoxification process slows down – but using our Birch Cellulite Oil can help diminish its appearance. This oil is a NATRUE-certified massage oil for cellulite using precious plant ingredients. 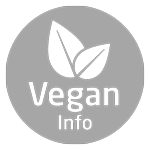 Extracts from young birch leaves, rosemary and butcher’s broom (ruscus) were used historically for their abilities to help encourage the skin’s metabolic systems. They’re blended with active carrier oils, including vitamin-rich wheat germ and moisture-loving jojoba. Invigorating grapefruit and cypress oils for fragrance – everything in this oil is here for a purpose. And it works. Regular massage helps skin to feel smooth, toned and firm and reduces the appearance of cellulite. Dermatologically tested. 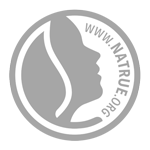 Certified natural by NATRUE, free from synthetic preservatives, fragrances, colorants and mineral oils. I use this product daily in cellulite prone areas for me in damp skin and massage in quickly. It doesn’t take long, absorbs quickly and after about a month everyone else started noticing difference. I thought I saw a change after 2 weeks but then thought it was too soon. I love it, love the smell too!